The Teixeira Tech Honda TRX 450R MX Frame Gusset Kit is a 28 piece kit that hits the most critical and necessary stress points for MX and Dune riding. This kit is modeled after our DZ kit, but with the weight conscience rider in mind who wants to save a few ounces and and get the maximum amount flex out of their frame while gussetting the weakest areas. 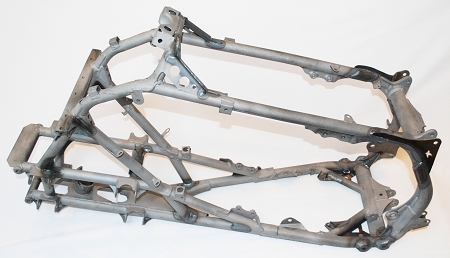 Teixeira Tech Gusset Kits are engineered to strengthen the oem frame with small gussets that still allow frame flex. Our gusset kits are cut using a CNC waterjet machine for the utmost in precision and accuracy and CNC milled 4130 chromoly tubing.